One of the most debated topics in the trading world is which tools, apps, and platforms traders need to rely on. Naturally, it’s a personal choice in the end which is also the reason why it is such a debated topic. However, there are certain tools that are better than others, especially for mobile traders and we have taken the time to list the most important ones below. Note that the following list is focused on the services provided and that we believe you can’t live without. That means that there might be several apps to choose from depending on which market you’re trading in, your level of expertise, etc. Maybe it goes without saying, but in today’s day and age, you really need a good mobile trading platform that you can use to trade on the go. As mentioned, the platform you choose to use will largely depend on what market you prefer to trade in. Forex traders also have a range of apps to choose between, but most would agree that the MetaTrader 4’s mobile software is the best. For cryptocurrency traders, we recommend an app from one of the leading exchanges such as Binance, and we prefer to combine it with derivative apps such as IQ Option. We want to emphasize that a mobile trading app is essential to have in your toolbox no matter what you prefer to trade. All of the leading mobile trading platforms provide analytic tools that let you plan your trades, but in many cases, that’s not enough. 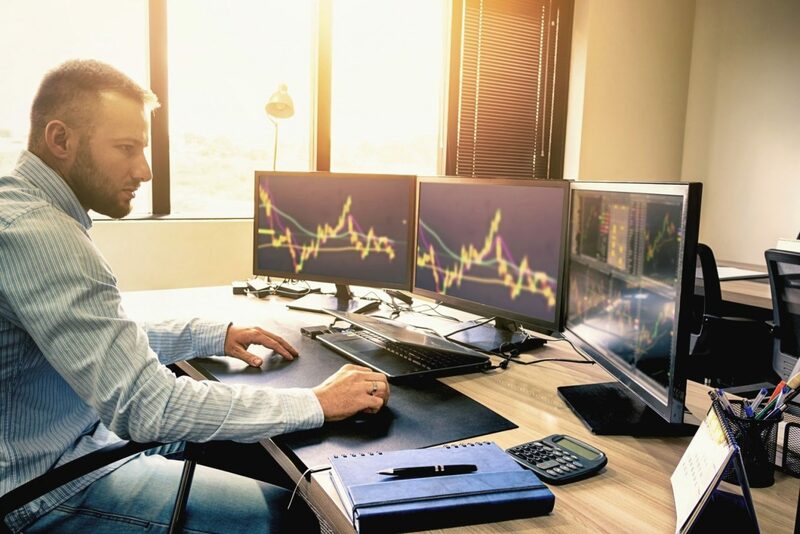 The problem is that trading apps are still somewhat limited compared to their desktop versions and the analytic capabilities usually leave more to wish for. Therefore, we suggest you get a good mobile analytic software that you can use to optimize your opportunities. Today, there is no doubt that the best mobile analytic tool is provided by TradingView. With the TradingView app, you can analyze instruments on all markets as well as get strategic insights, tips, and signals for free. In addition to planning your trades from a technical point of view using a charting tool, we suggest you also set yourself up with a reliable news app that provides financial news in real-time. Good options are Reuters, CNBC, and Bloomberg who all provide detailed economic news for traders on a daily basis. In fact, often times the best investment opportunities can be planned based on news, and without an app, you’ll lose out on profitable trades. We all need to optimize and perfect our strategies at times, and there is no better way to do that than by using a free practice app. One of the leading trading simulators on the market today is the TradeHero which is a free app that allows you to trade on a range of instruments using virtual money. Acorn is an automatic trading app that makes investing easier than ever before. The app is all automated, and it doesn’t require you to analyze and find instruments to invest in. Instead, you connect your debit or credit card to the app, and then the app rounds up every purchase you make and invests the difference for you. All of the instruments have been picked out by leading economists and traders to ensure that your funds are kept as safe as possible.